Jason 'Bo' Alan Beckman's Florida Ponzi property has a screened-in, heated pool and spa, according to court filings. As alleged Ponzi palaces go, Jason ‘Bo’ Alan Beckman’s Florida property is hardly the gaudiest. Even so, the 11-room home in Palm City has features and amenities many Americans only dream about. But one group of Americans — victims of the Trevor Cook Ponzi scheme — are likely only to have only bad dreams about the property. They are out millions of dollars as a result of a massive fraud in which Beckman allegedly played a big role. The two-story, five-bedroom, five-bathroom home built in 2005 is situated near a golf course and equestrian facility, according to newly filed documents in the Beckman civil-fraud case. Receiver R.J. Zayed is seeking an order that would turn the property back over to Beckman and his wife because the home — despite its amenities — likely cannot be sold for what is owed on the $707,301 mortgage. Keeping the property could create a drain on the receivership estate, Zayed argued. Chief U.S. District Judge Michael J. Davis asked last week that an appraisal be done on the property. The appraisal now has been filed with the court, and the appraiser reported that the home is worth $540,000, about $167,301 less than what is owed. Other court filings suggest the property may be worth even less. The SEC described Beckman in March as a “leading” figure in the Cook scheme, alleging that he raised about $47.3 million of the $194 million gathered in the overall fraud. 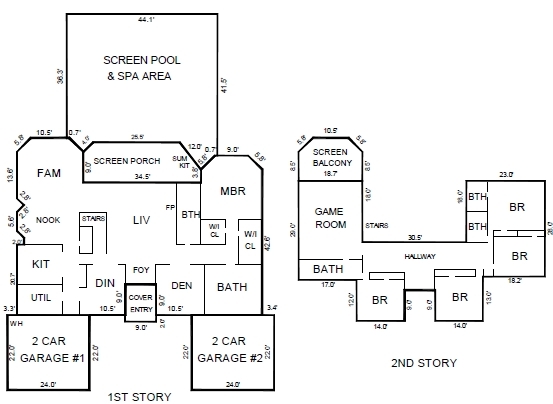 Floor plan of the Beckman Florida home. Beckman used $1.49 million of investors’ money for payments “toward the purchase” of luxury homes in Minneapolis, Texas and Florida, the SEC charged. The Minneapolis home already is in foreclosure, and the Florida home is situated in an upscale neighborhood trying to make a comeback after the state’s foreclosure glut caused property prices to plunge, according to court filings. 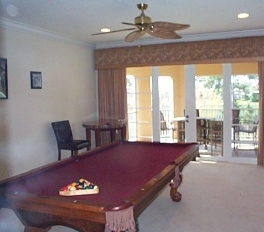 The Beckman Florida game room. Any buyer who emerges to purchase Beckman’s Florida property will find that it has twin garages with enough floor space to hold four cars, according to court filings. The home also features a yard with palm trees, a driveway built with colored pavers, a screened-in pool and spa, a screened-in “summer kitchen” and porch, central air, a well-appointed interior kitchen, a dining room, a living room, a family room, a game room, a den, a showy staircase, marble floors, a laundry room and other amenities. Some of the Ponzi victims have been described in court filings as penniless. Was this “Bo” the same “Bo” who ran the 13DailyPro autosurf? If so it would be hard to find a more arrogant and obnoxious member if the human species. Judy Hortin: Was this “Bo” the same “Bo” who ran the 13DailyPro autosurf? The operator of the long-ago tanked 13DailyPro autosurf has been described on the Ponzi boards variously as Bo Andersen or Bo Anderson — the distinction being the last vowel in the last name. There is a 407-page thread on the TalkGold Ponzi and criminals’ forum.